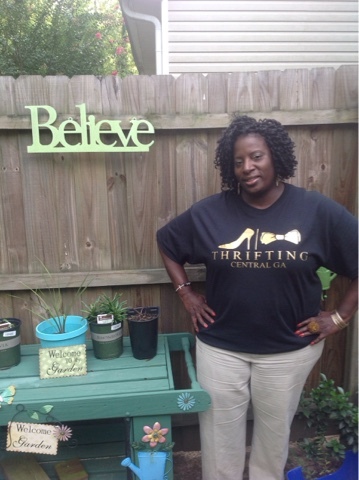 Thrifting Central Ga. : I Celebrated National Thrift Shop Day by thrifting Through Central Ga. I Celebrated National Thrift Shop Day by thrifting Through Central Ga.
August 17th is National Thrift Shop Day and I took a day off work to celebrate. 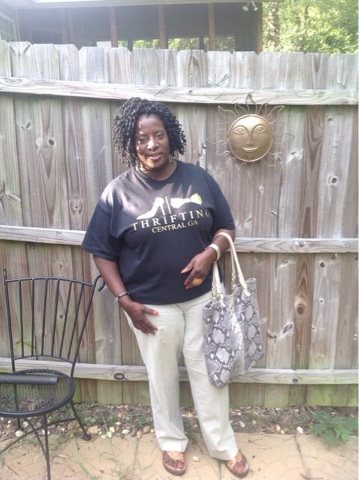 My day began with a surprise call from my local news outlet 13WMAZ I met up with a member of my thrift group ( Thrifting Central Ga.) . We started our thrift journey in Macon and ended up in Houston County. The reporter met Yvonne Thomas met at my first stop , The Rescue Mission of Middle Ga. she wanted to know all about thrifting and what my best tip was! I told her seasoned thrifters get out early and check the tag color for the day and go for it with lots of patience! I'm so glad that I was able to be the local face of thrifting on National Thrift Shop Day 2016!